As a photographer I have the honor of being present at milestone events in the lives of my clients. Some clients are wedding clients, some clients are portrait clients, some clients book me for family sessions and sometimes I’m lucky to be the photographer for all of these events. I have several families that return each year to document the growth of their families and have also had wedding clients that turned into maternity session and eventually newborn session clients! Being a part of all of these journeys means a lot to me as a photographer and newborn sessions are some of my favorite milestone moments to document. Comfort of my clients is of utmost importance for all of my sessions and this is especially true in a newborn sessions. I love to utilize the natural light of your home to capture vibrant images of your newborn baby, while highlighting the tender moments between baby and parents. In this shoot with baby Jasper I was also lucky to have three generations present- as Jaspers grandmother was able to join the photoshoot. 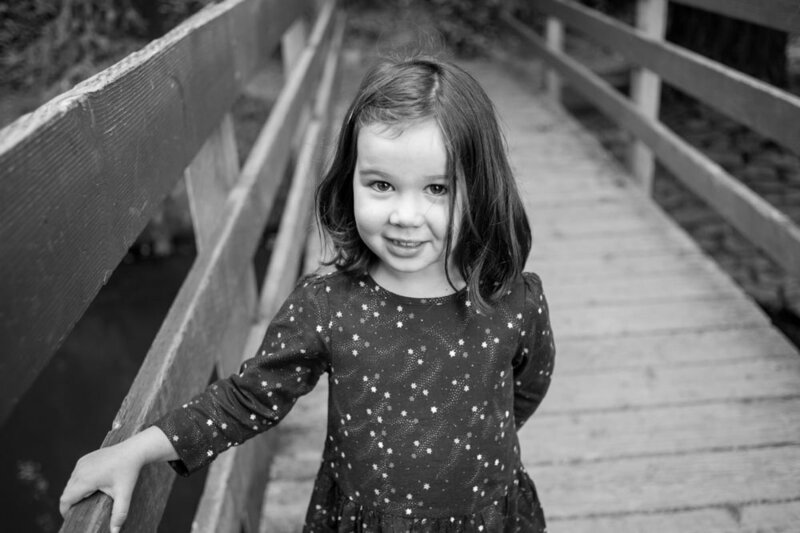 It can be intimidating to have a camera in front of your face and it is my goal to create the most comfortable photoshoot experiences for both the oldest and youngest members of your family. Babies, especially Jasper, have an incredible knack for being great models as their most simple “poses” (including yawning, stretching and cooing) are melt your heart level cute. Jasper had some great eye contact to show off during his first modeling session and I can already tell that he is a natural in front of the camera. It was almost too easy to get great images during this session- between having a loving family to work with and Jaspers ability to work the camera-it was hard to pick my favorite shots. As with all of my families, I look forward to seeing how Jasper grows and look forward to planning a session with you and your new addition. 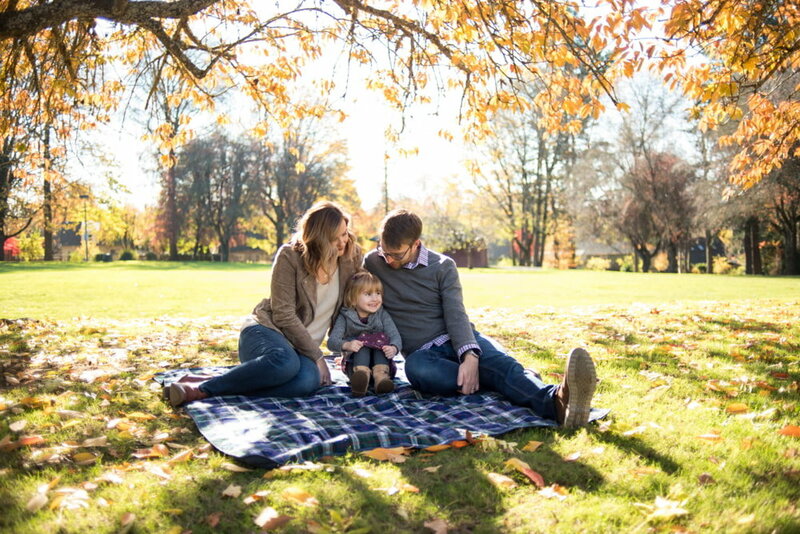 While I love getting out of town, hiking, and exploring for adventure sessions, there is something about a simple neighborhood park family photo shoot that can’t be beat. I was able to spend a day with this cute little family in a place that their four-year-old daughter knows and loves, a place that she is comfortable with (and a place that isn’t too far to run back home and get some forgotten snacks or accessories). 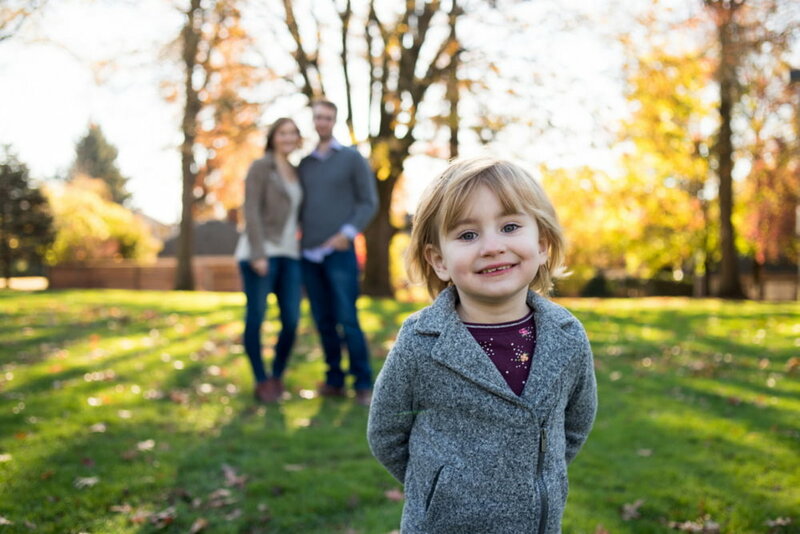 This accessibility and comfort is key in getting some great shots, as I have learned from taking years of family portraits is that when the kid is smiling the parents are usually smiling too! The beauty of Portland is that it is packed to the brim with lush neighborhood parks. This is great for families day to day, as there are options for both parents and kids alike to avoid boredom and get outside. It is also great for choosing family portrait locations. If the park down the street looks a little packed with other families and children, it is a good bet that there will be another park just around the corner that will be just as great of an option. I was lucky on the day we shot with this family as Berkeley park was full of sunshine, but not too full of people. Their daughter loved getting in tune with the last remnants of fall while exploring some leaves-which also made for some great props. It is always fun to take pictures of families that you have created relationships with-and it was no different in this shoot. The sessions produced fun, bright and vibrant- yet seemingly effortless images of a family having fun- which is what I’m all about. I have fun with my families and I think that this light-hearted approach makes the difference in the end result. I look forward to capturing some great family photos at a park near you! Living in Portland, it is hard to not know about the gem that is the Crystal Springs Rhododendron Garden. It is one of those places that remind you just how much natural beauty exists within the Portland city limits. A short walk from Reed College and not too far from the bustling Woodstock strip, exists 9.49 acres of picturesque landscaping. It’s also a place that has accessible trails and restrooms and we know that when you do a photo-shoot with children involved, it is never a bad idea to have access to clean and well-kept facilities. 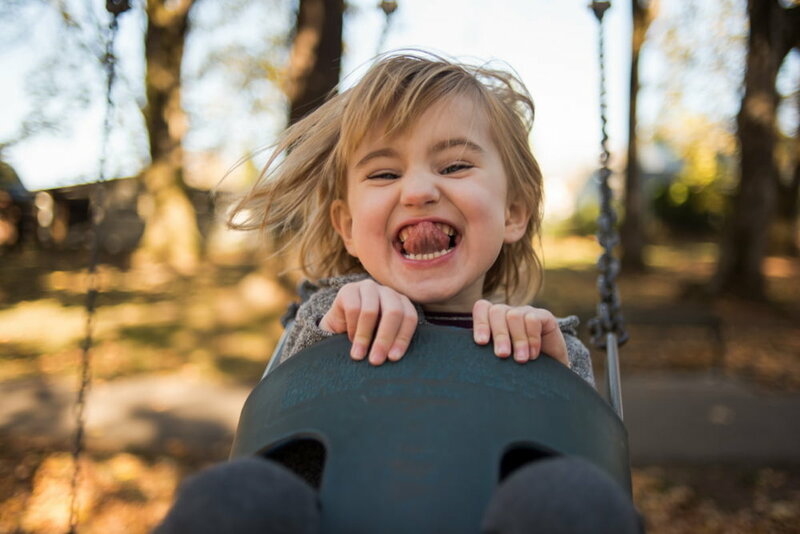 Crystal Springs is not only, clean, accessible, and adjacent to the hustle and bustle of busy Portland neighborhoods- it is also a great place to take some great photos of families enjoying each other’s company. I had a great time taking photos of this family at this location. The park has water features and open grass areas, giving us plenty of space to play with for backgrounds. Creating vignettes on the rustic bridges made for some adorable family and solo scenes for the children. You also can’t forget about the pure joy that seeing flocks of ducks gathering that provides free entertainment and a pep to any photoshoot. I love when nature gives us a hand in helping kids get in a good mood and feel comfortable in front of the camera. Watching ducks swim in formation or experiencing interactions between squirrels and geese brought a lighthearted and fun feeling to this session. Sometimes nature does a better job of making kids smile than a silly joke from a photographer (though silly photographer jokes have been proven to work 9 times out of 10). Not only is the garden a great place to capture beautiful family images, it also is a great place to brush up on your botanical knowledge as there are more than 2,500 plants located on the grounds. We look forward to scheduling many more family sessions (and learning about a ton more plants) at this serene location!